Joanna Hope Double Cuff Lace Dress is rated 5.0 out of 5 by 1. Exclusive to us - Joanna Hope. A very versatile lace shift dress that can be dressed up or down. 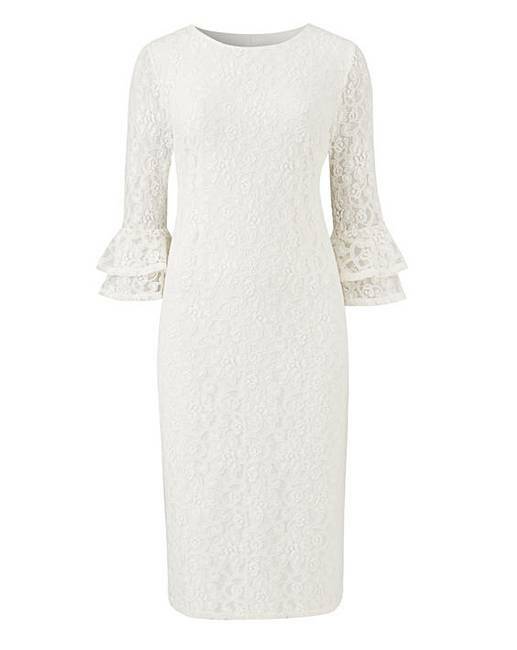 The lace is stretch for a great fit and the sleeves are three-quarter length with a double cuff. Pretty enough for weddings, cruises and nights out. Fully lined to the body with sheer sleeves.